Home / Chatime / Food / Local Places / tea / It’s Chatime! I’d like to consider myself a foodie. I love food and trying out new things related to it. However, there are numerous food types I don’t like, let me include to the list tea drinks prepared by specialty tea shops. I love ordinary tea drinks though such as iced tea, red tea, and those with added ingredients like lemon and calamansi which are readily available in supermarkets through ready to drink bottles and powdered versions you need to mix with iced water. Since I never try tea drink shops, I’ve always wondered why teens, students, and everyone else enjoy such drinks. It’s evident by the overwhelming number of tea stations everywhere, once of which include Chatime. And since I always pass by one of its branches in a mall nearby, my husband, the usual culprit of food trips, nudged me to try one. As always, he makes the better choice of ordering one of the best sellers. I on the other hand, experimented with what I feel like trying once again. It turns out that the chocolate mousse flavor he chose is amazing and really tastes like chocolate mousse. My drink on the other hand was OK. None of us are used to winter melon’s taste anyway but the weird taste was at least balanced by the presence of lemon tea in it. 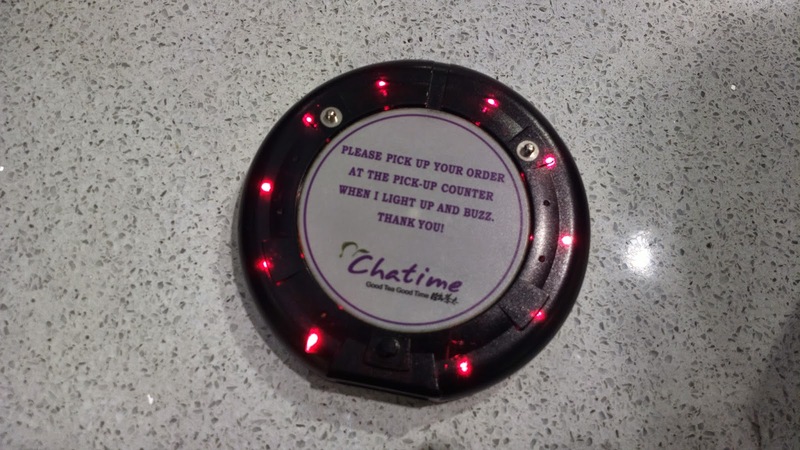 Their pending order is also processed digitally through a large chip that lights up once your order had been completed. 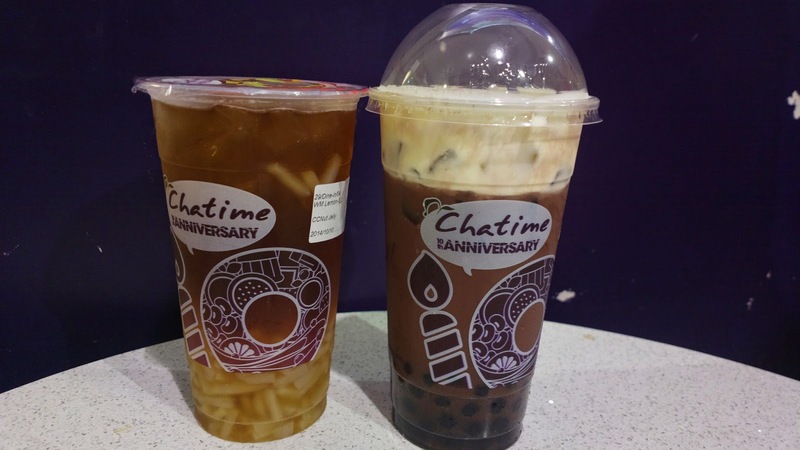 Catch Chatime through their website www.chatimecafe.com or their FB page chatimephilippines.